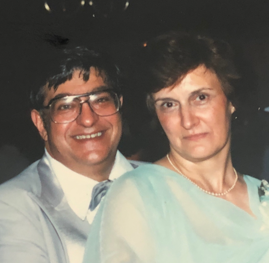 Campbell……….Funeral services will be held at 10:30am, Friday morning at the Wasko Funeral Home and 11am at Christ the Good Shepherd Parish at St. Lucy Catholic Church for, Jane M. Lanzo, 83, who passed away Saturday morning at St. Elizabeth Health Center. Jane was born, May 28, 1935 in Girard, the daughter of Dominic and Alberta Nuccio Casale. She was a 1953 graduate of McDonald High School, where she was a class officer and a member of the National Honor Society; and a 1956 graduate of St. Elizabeth Hospital School of Nursing. Jane loved to cook for her family, and made the best sauce for Sunday dinners. She enjoyed going to the casino and traveling, but what she loved the most was spending time with and attending her grandchildren’s events. She leaves to cherish her memory her six children, Lou (Janice) Lanzo, Josie Minnie, Don (Mary) Lanzo, Bertie (John) Verbanac, Ray (Debbie) Lanzo and Bob (Carolyn) Lanzo; grandchildren, Jena (fiancé Bill Ramirez) Minnie, Alyssa Lanzo, Carmen Lanzo, Kiersten Lanzo, Kayla Lanzo, Cara Minnie, Lauren Lanzo, Ross Lanzo, John Verbanac, Justin Lanzo, Jarod Lanzo and Kiley Verbanac;one sister, Kathryn (Bob) Rimedio; sisters-in-law, Helen Casale and Theresa Casale; brother-in-law, Judge James R. (Kristine) Lanzo; her Aunt, Mary Ronci; and many nieces, nephews and cousins. She was preceded in death by her parents; her husband Carmen; her grandson, Ryan Lanzo; son-in-law, Frank Minnie; two brothers, Dr. Michael Casale and Donald (Ducky) Casale; and one sister, Tina (Don) Dorn. The Lanzo family has entrusted their loved one to the care of the Wasko Funeral Home and will receive family and friends on Thursday evening from 4 to 8pm.